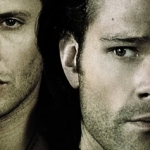 I’m so glad to see Supernatural return again, this time for a ninth season. As evidenced by the season premiere, there are still many stories to tell and many surprises to be seen. I can’t wait to see where we go next! When last we left our favorite brothers, Dean had convinced Sam not to go through with finishing the trials because it would kill him. And while his health had been deteriorating over the course of last season, it looked like Sam’s intent of “just letting it go” was going to be enough to bring him back to full strength eventually. Well, when has this show ever taken the easy way out? Instead of being all better, Sam was actually so messed up that even the medical professionals gave up on him. And the more that they tell Dean to prepare himself to say goodbye, the more determined Dean is to save his brother. These two will go to the ends of the Earth for each other, so it was only a matter of time until Dean would find a way to get Sam out of his fatal ending. What I found most interesting about the dual journey that both Sam and Dean were taking in this episode was the fact that Dean was hell-bent on never letting go, whereas Sam was ready. He’s seen what pain his resurrections have caused, both his brother and the world at large, so if he can get a promise that it will be over, that this time will be the last and there will be no negative repercussions from it, then he’s ready to walk beside Death into the light. But, as long as Dean is around, that’s never going to happen. We’ve heard time and time again that the Winchesters are co-dependent and I think that’s very evident in Dean on more than a few occasions. He cannot live without his brother, he doesn’t want to. As he said in this episode, “There ain’t no me if there ain’t no you!” Dean would rather be beside his brother than journeying into the world alone. 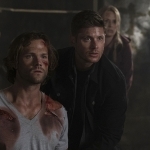 Supposed no-win situations where Sam ends up dead has never stopped Dean before and it’s not going to stop him now. However, his method and the final result were not something I anticipated. Going into this season, I had known that Sam would likely be in mortal danger and that Dean would do something to make him better. 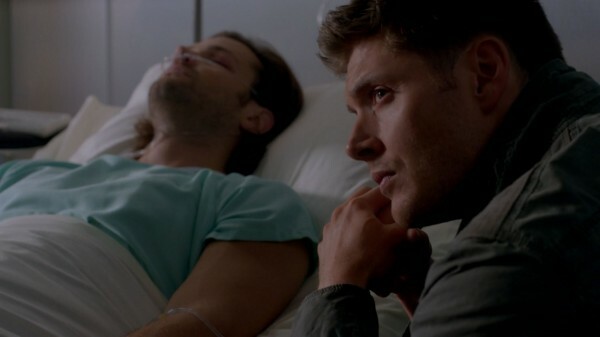 Comments from the actors implied that the brothers were moving into new territory that neither had ventured in before, so my first thought was that Dean would bond his soul to Sam’s in order to help heal him. It made sense in my head, seemed like a good theory, but the show had other ideas. 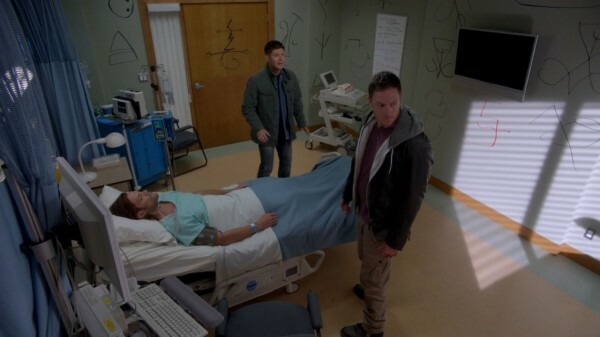 Instead of soul-bonding, Dean utilized the help of a new-to-us angel named Ezekiel in order to heal Sam. When laying on of hands didn’t work, Ezekiel had a risky suggestion. Let the angel possess Sam so that Ezekiel could heal Sam’s wounds while healing his own. And in order to get Sam’s consent, he had Dean’s image relay the question. 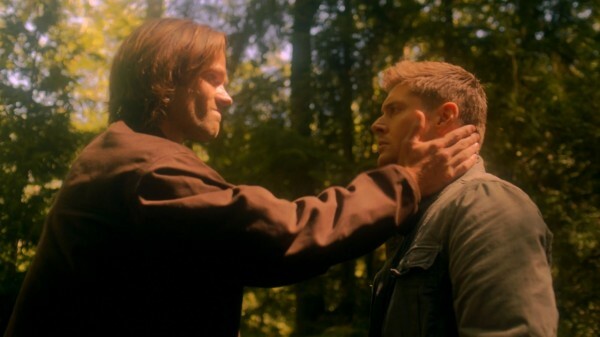 Of course Sam’s going to crumble into agreement when faced with his brother begging him to fight and stay with him. However, we’re getting into some major consent and trust issues here. First of all, Sam was tricked into saying yes. Secondly, Dean’s going to keep it a secret from Sam “for his own good.” And thirdly, you know that this is not going to stay a secret forever, so what’s going to happen when Sam learns the truth? When he finds out that he’s had a passenger along for the ride in his body all these weeks or months? And I’m still not convinced that Ezekiel is just going to quietly take his leave of Sam’s body once the dual healing process is done. Major issues abound. And with all of these troubles brewing, we also have Fallen!Cas to deal with. Not only is the world overrun with fallen angels, some of whom have found vessels and some of whom are still free-floating until they do, but Cas has no grace anymore. He’s fully human, no power left in him except the ability to hear angel radio. And I commend him for wanting to help his fellow brothers and sisters adjust to their new state, but it’s going to wind up getting him killed if he’s not careful. All of them are going to be looking for him, all of them are going to be out for his blood. He’s going to need some help navigating this new world if he has any hope of surviving it. On the upside, at least he’s gotten new clothes. It only took him five years to be able to get out of that trench coat. 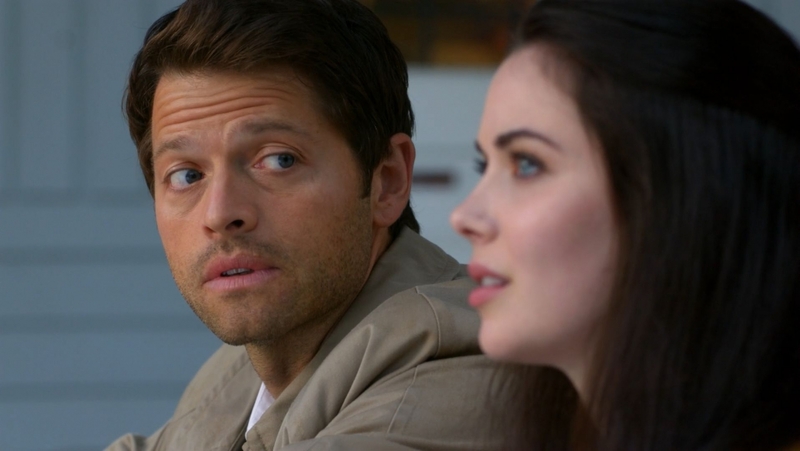 I wonder what Cas is going to say when he finds out about Dean’s little deal. And what his role will be in the whole “keep Sam in the dark” bit of assuring that this will work. Secrets are never good where the Winchesters are concerned and I doubt this time will be any different. What a set-up for a season!